Last month, I thought of the impending problem that the rainy days will bring: bag safety. When I was looking over my stuff, I’ve noticed that my black Gucci tote had the usual suspect on the leather parts. I should have stored it in a dust bag but as I still haven’t commissioned somebody to do it for me, it was inevitable that the bag had caught such problem. Anyway, I have already cleaned it with leather cleaner/conditioner and treated with mink oil afterwards because it won’t darken as it was finished leather, unlike my other bag that darkened. 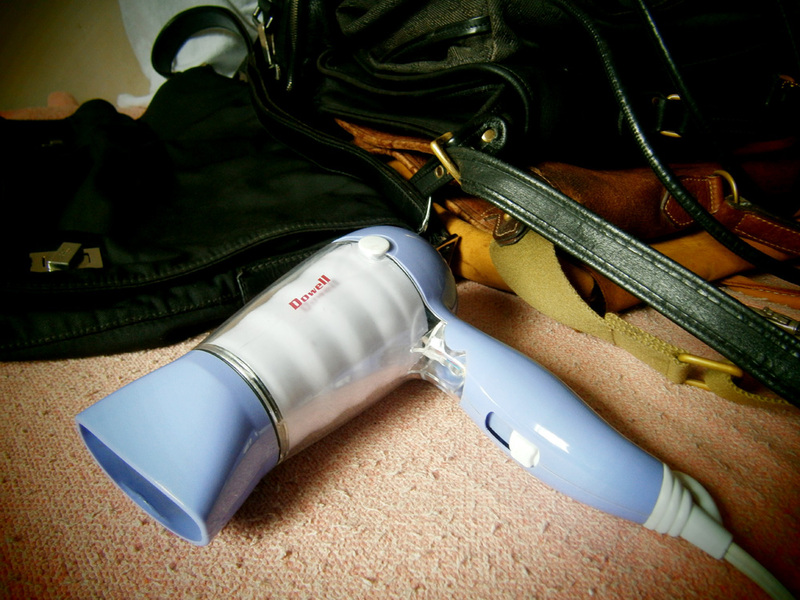 But just to be sure, I brought all of my bags out and put them under a blast of hot air from my blow dryer to remove any moisture. Mold and mildew grows under very humid condition. And as the rain has been going on and off for weeks already, it will be impossible to air them out outside, unless I wanted them to be drenched. The next best thing I can do to remove moisture was hot air from this dryer. 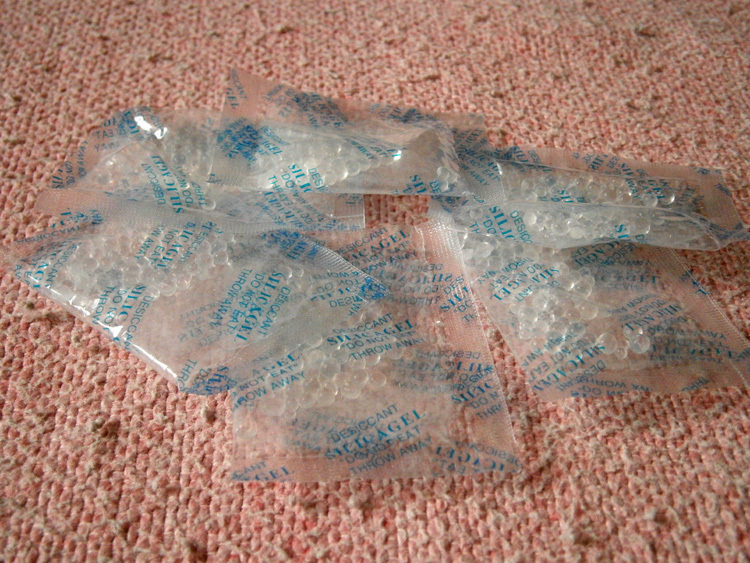 And for bags that have their own dust bags, I also put these packets of silica gel. Mon bought a large pack before and they are still doing a great job in keeping the moisture out. I just hope that none of my things will get ruined this time around. I really needed some spare time to shop for fabrics to be made as dust bags. hello my friend! i happen to discover your blog and i really find it very very informative about mulberry bags since i am an avid collector of the bag also.i have a mulberry darwin emmy in oak and a mulberry mitzy tote.however, i found out here in your blog a fake mulberry serial number 565321 which happen to be the serial number of my mulberry mitzy tote which i bought in sommerset,england in the summer of 2009..i was really really distressed by this..